Quantum physics theory has an odd but fundamental quirk: atoms in a quantum state aren't supposed to move as long as you're measuring them. It sounds preposterous, but Cornell University researchers have just demonstrated that it's real. The team noticed that the atoms in an extremely cold cloud of Rubidium gas wouldn't move around as long as they were under observation. The more often scientists used a laser to measure the behavior, the less movement they saw. They had to either tone the laser down or turn it off entirely for the atoms to shuffle around freely. 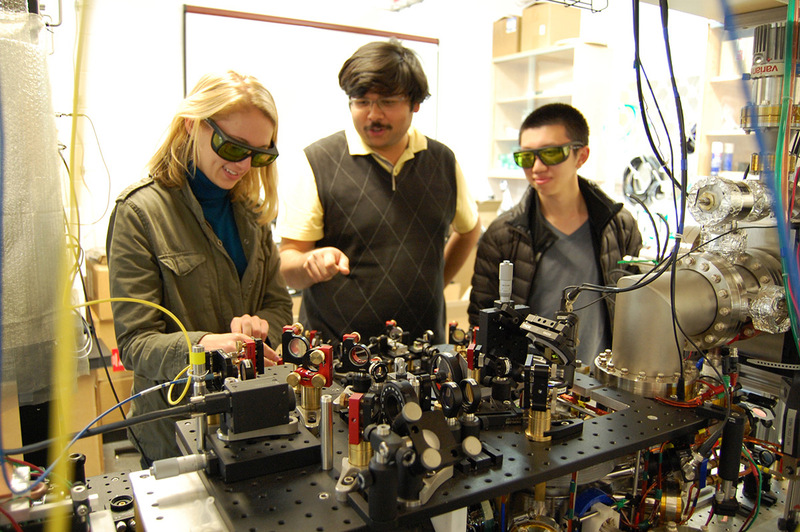 The discovery could have some big ramifications for quantum computing. For a start, it shows that quantum cryptography should work -- an intruder can't spy on your communications without ruining the data. On top of this, the ability to stop atomic movement on demand could lead to quantum sensors and switches that are extremely sensitive, reacting the very moment that atoms slow down. You're a long way from seeing full-fledged quantum computers, but it's at least evident that the concepts behind them are sound.